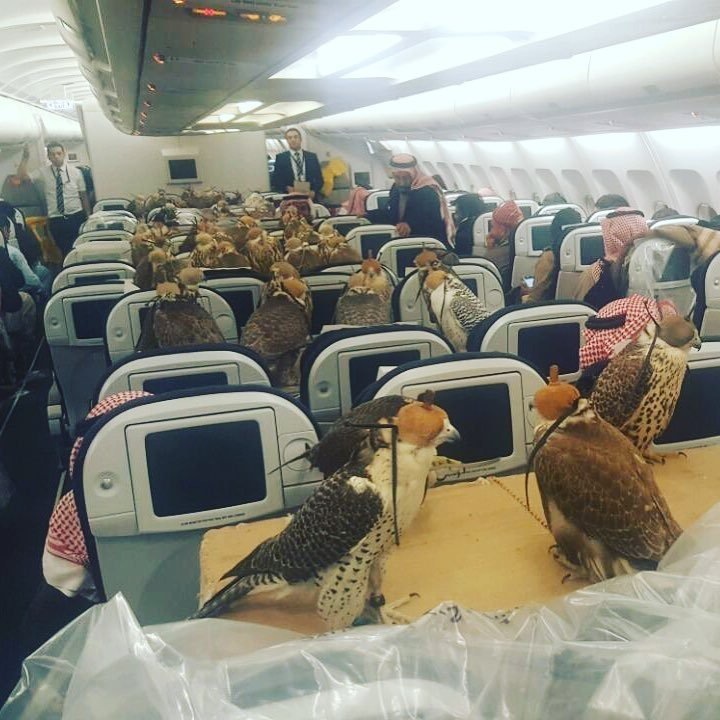 It looks like someone had to pull a lot of strings to allow so many falcons onto one plane! A member of the flight crew snapped this picture and sent it to a friend. It’s shocking to people who have never seen something like this happening, but the people in the plane seem as if they couldn’t care less! Most falcons have no problem flying in a plane as the experience has a calming effect on them, allowing for safe flights! Would you fly next to a falcon?